through the winter with ice on your paddles? And whether your chosen kit will be adaptable to various conditions? Various types are available, some general purpose, others specifically for whitewater, sea-kayaking, competition etc. A buoyancy aid is probably the most important piece of safety kit you’ll invest in so don’t just rush out and buy the first one you see. Treat it with respect and it will last a long time. Helmets are necessary for white water, shallow rivers, polo, slalom, river racing or surfing. Choose one which can be adjusted to fit your head so that it doesn’t slip back or forward, covers your forehead and has a strong chin strap. It should be made of a durable material and float. Helmets should be CE approved - CE1385. Different spraydecks fit different boats. Clothing must give you thermal and physical protection without hindering your movement, particularly in the shoulders and torso. This is the crux of the system, ranging from waterproof (like a dry suit or dry cag) for white water to a light shell for competition or fair weather. Specialist canoe kit is not essential on warm summer days. To start off with, wear a pair of shorts, which dry quickly when damp, a T-shirt and some form of footwear. A lightweight or short shell top will combat any wind chill. You may want to invest in some neoprene shorts, beach shoes and a synthetic thermal top. Base layer ‘thermal’ garments, worn on the torso and/or legs need to be thin, close fitting and comfortable. In colder conditions, an intermediate layer of ‘fibrepile’ or ‘fleece’ warms quickly by trapping air to provide a thermal barrier. If there is a chance of immersion, swimming or just cold winter days a Long John sleeveless wetsuit can be worn. In very cold conditions, and for expeditions to colder climes, the full ‘dry suit’, which seals the water completely out, is very much appreciated. Choice of footwear is a matter of personal preference, but for white water or winter paddling, purpose made wet suit shoes/boots are ideal. 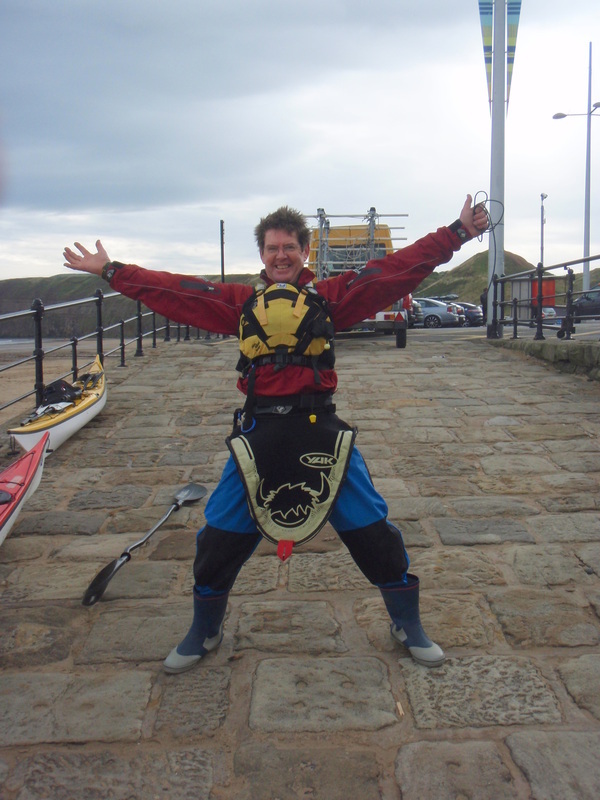 For the hands, the ‘Pogie’ or ‘Paddlemitt’ can be a very useful accessory. this, as weather and water conditions dictate. For canoe paddlers, a long style ‘shell’ jacket, which can be easily vented, is a sound investment. Keeping the head warm and keeping the sun out of your eyes are important factors. And, for those hot summer days on the continent – back to the shorts and T-shirt. Simply increase or decrease the layers until you feel comfortable.